Mission and Discipleship | Just Walk Across the Room – Implementation Guide. 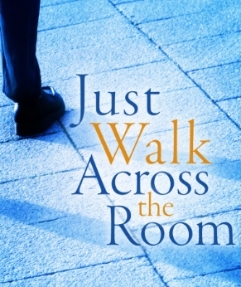 Just Walk Across the Room – Implementation Guide. Posted May 31st, 2014 by Uniting Presbyterian Church in Southern Africa & filed under Courses, Training. The Willow Creek “Just Walk Across the Room Course” is a powerful learning experience. The documentation provided here is intended to supplement and not replace the great resources Willow Creek provides. The Course offers some great learning. You can see a summary of the main points of each session below. Be sure that you have heard their story authentically so that they are ready for yours. Keep them brief, humble, easy to understand and real. When pursuing the grander vision, you will be partnering with God in his amazing mission – finding what is lost, restoring what is broken and reclaiming what is his.